In face of the rising costs of fossil fuels, and in view of our wider appreciation of the problem of global warming, it is worthwhile to examine this process a bit more closely, for it will be more and more applied in the future. By definition, cogeneration is an ecological concept for it makes a useful utilization of some of the heat energy which would otherwise be wasted in producing electric power. While gas-fired (or biomass-fired) cogeneration emits vast quantities of CO2, nuclear cogeneration is the purest form of cogeneration for it emits no CO2. Nuclear cogeneration has been applied with success in a number of cases, both in currently operating as well as some retired power stations. Here is a list of the countries in which nuclear energy has been applied to the cogeneration of electricity and useful heat for urban heating or for industrial process heat : Bulgaria, Canada, China, the Czech Republic, Germany, Hungary, India, Japan, Kazakstan, Russia, Slovakia, Sweden, Switzerland, Ukraine, United Kingdom. 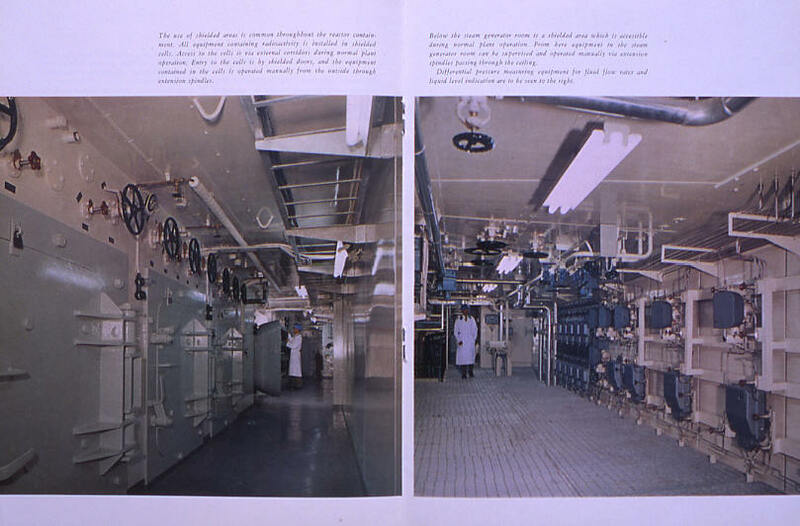 From 1963 to 1974 a small reactor called AGESTA (12 MWe and 68 MWth) heated the southern sectors of Stockholm. Strangely enough, it was shut down just after the the first oil shock - it would be interesting to know why. In operation today, the Temelin reactor's secundary heat is used to heat the buildings and houses of the neighboring town of Tyn nad Vitavou (population 8200) located about ten kilometers north of the power station. A double pipe about 50 centimeters in diameter carries the hot water from Temelin to Tyn nad Vitavou, and back. 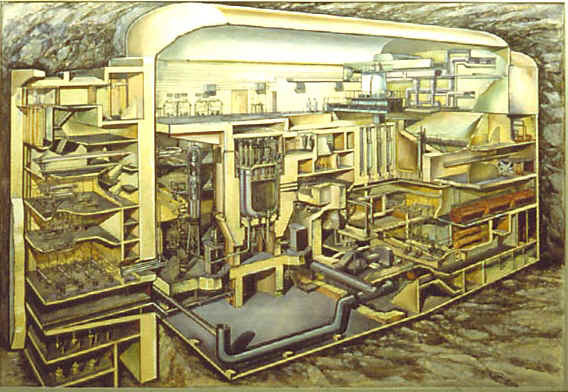 Originally, studies had been made for the Temelin reactor to heat the southern sectors of the capital Prague, about a million people at a distance of 100 kilometers to the north, or alternatively the city of Ceske Budejovice with a population of 100 000, about 30 kilometers to the southeast. But these plans were abandoned for economic in the first case and architectural/touristic considerations (in the second case) rather than technical reasons - the installation of an urban heating network where none had existed before would have required a large investment over a long period of time, not to mention the disruption of people's lives to install hot water heating in building and houses and to construct the distribution network under the streets, especially in beautiful cities such as Ceske Budejovice classified as historic monuments and with a substantial tourism industry. This example shows us that cogeneration for urban heating - nuclear or not - is applicable most easily only to those (few) cities which either already have an urban heating network or to new cities in which urban heating is planned from the beginning. The latter was the case in Tyn nad Vitavou which was built on green fields near the village of that name to house the workers of the Temelin plant. This is a general constraint on cogeneration for urban heating. 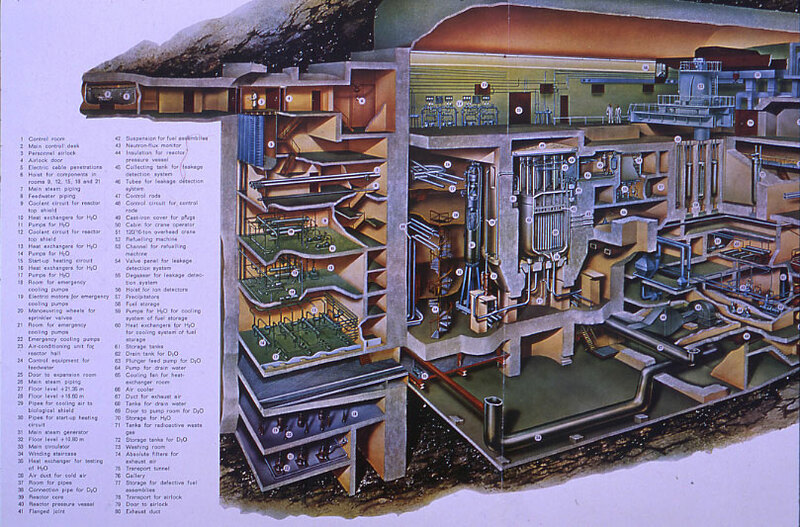 In the UK the first Calder Hall reactor (50 MWe) generated electricity from 1959 to 2003 and at the same time provided process heat for the adjacent Sellafield reprocessing plant. It was one of the oldest nuclear power plants in the world and ran for over 40 years (and was in perfect condition to continue operating for another 40 years had it not been stopped due to economical constraints caused by its small size in comparison to modern plants). 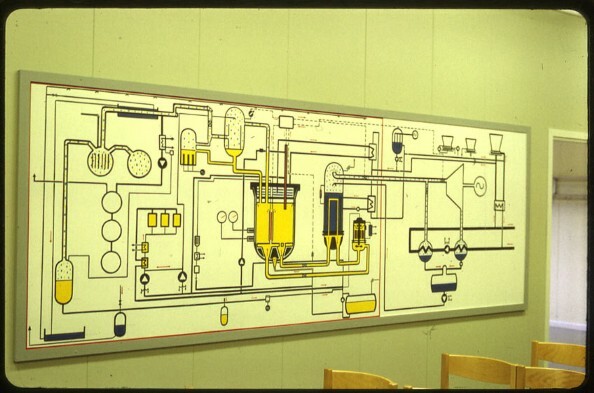 The United States is presently studying an "integrated" 300 MWe reactor (IRIS - International Reactor, Innovative & Secure) for electric power and heating in small towns and remote locations, in Alaska for example. 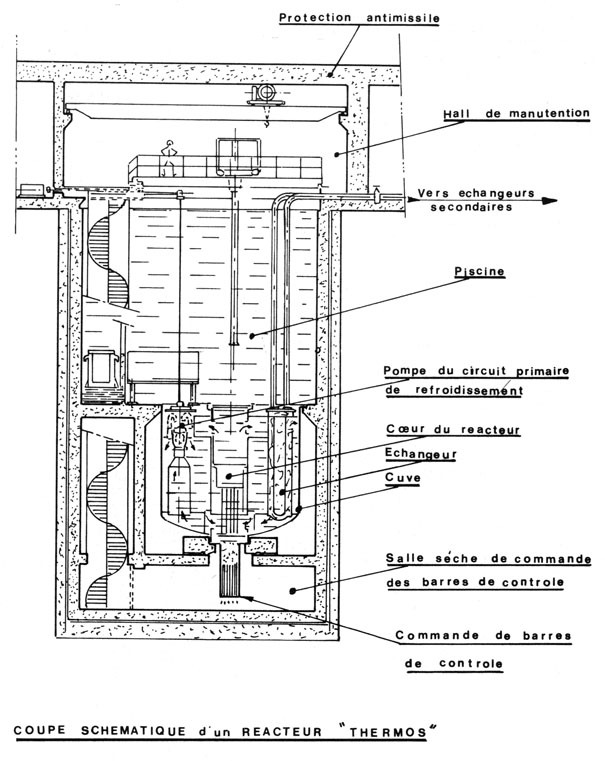 A nuclear urban heating system using 100% of the heat produced by the reactor was studied and nerly built in Grenoble (France). 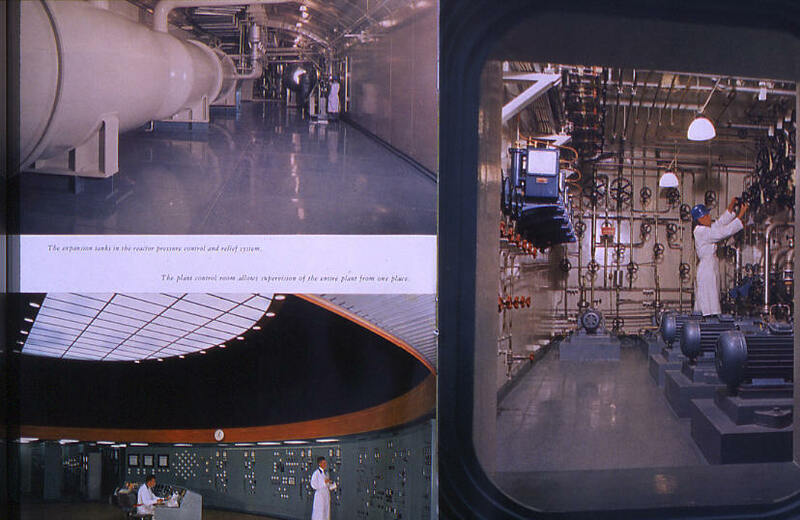 It was a small reactor of less 90 MWth to be located right in town, requiring a crew of about 30 employees. This proposal attracted a great deal of media attention in France in 1980; it was the very moment when the not-too-distant Superphenix was under attack - an unfortunate coincidence in time and place. It was called THERMOS and would have heated the city of Grenoble which already had an urban heating system. The CEA had completed its studies and construction was about to begin, but the project was cancelled in the face of the increased political pressure from Greenpeace, regional opposition to Superphenix, the election of the socialist President Mitterand in 1981, and the falling prices of oil (the counter-oil-shock). Let it be noted here that the project was abandoned for political-economic reasons particular to that time, and not for any technical reasons. Political opposition to nuclear power is still present in many areas of the world today (but this may change rapidly in the future as an increasing number of environmentalists join EFN and become pro-nuclear). Recent increases in the price of carbon fuels also give a clear economical advantage to nuclear power. The largest nuclear cogeneration schemes to date have been about 100 MWth, but there is no technical barrier to larger plants. In China there are plans for a 200 MWth nuclear heating plant without electrical power generation. 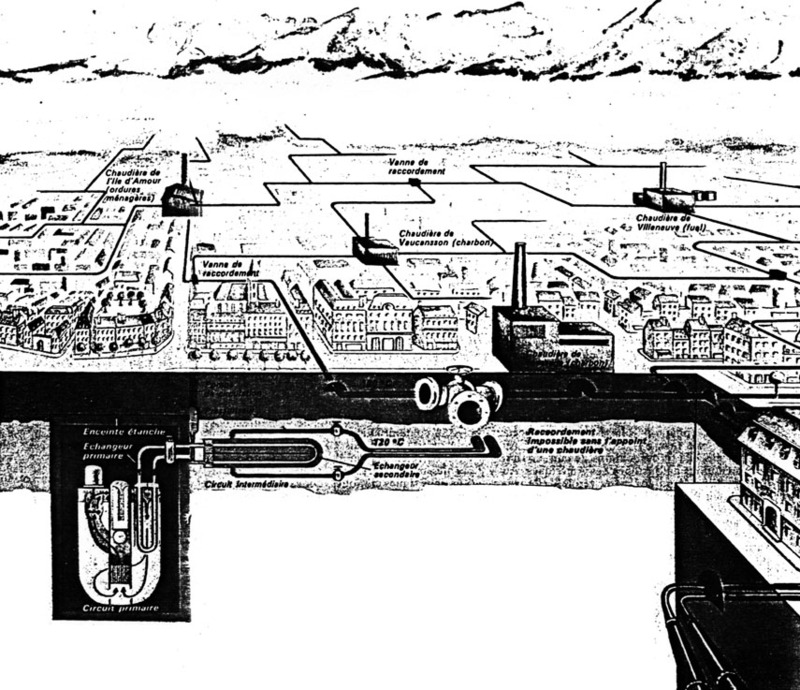 So we see that nuclear cogeneration is not a new idea, even though it has been partly eclipsed in recent decades by the artificially low price of fossil fuel, and in some places, like Grenoble, by a powerful anti-nuclear movement sustained by large financial resources from nearby Switzerland. The sudden rise in recent years of the price of natural gas and oil will lend new vigor to the idea of nuclear cogeneration which has largely been forgotten, even by the nuclear industry itself. For obvious economic reasons, it seems likely that nuclear cogeneration will develop first and more quickly than nuclear plants for heat only. On the other hand, the latter may be developed where large quantities of heat are needed, for heat cannot readily be transported beyond 50 or 100 km. Likely sites would be in the Scandinavian countries for urban heating and near industrial centers requiring process heat all year 'round, for example large chemical plants and the extraction of oil from the Canadian oil sands. 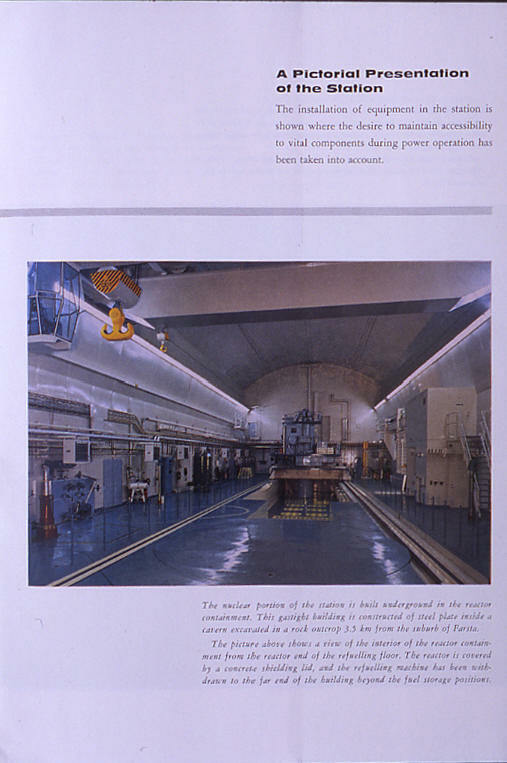 High temperature reactors such as the PBMR (Pebble Bed Modular Reactor) under construction in South Africa and the HTTR (High Temperature Test Reactor) already in operation in Japan will be particularly well adapted to cogeneration in view of their small size - from about 100 to 300 MWe. 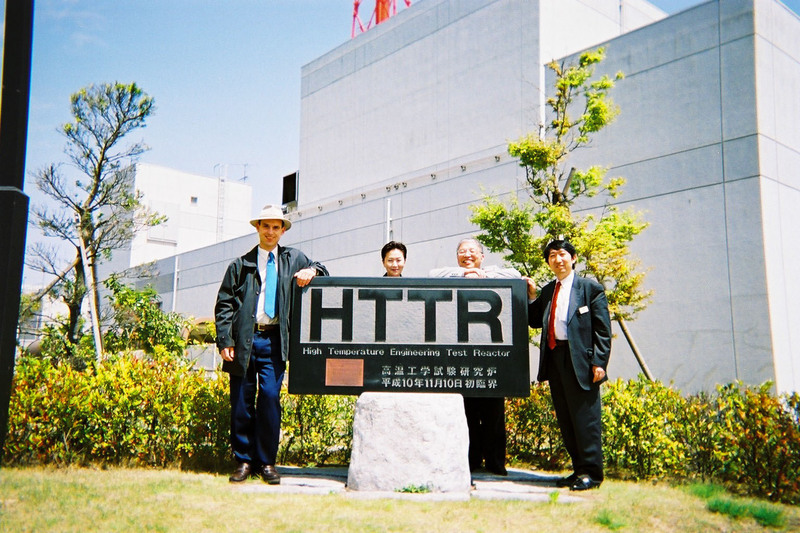 The HTTR at Tokai operated by the JAERI (Japanese Atomic Energy Research Institute) has been in operation for years as a prototype producing high temperature heat for hydrogen production by the S-I (sulfur-iodine) process, the world's most advanced and efficient process for producing hydrogen from nuclear energy. A small nuclear cogeneration reactor of only 150 - 200 MWe avoids the emission of about a million tonnes of CO2 each year. By installing such reactors which have a very small footprint major reductions in CO2 emissions could be acheived (the footprint of the Thermos reactor project in France was just 40 x 40 m while supplying the entire heat requirements without burning any fossil fuels of one of the country's largest cities, Grenoble).